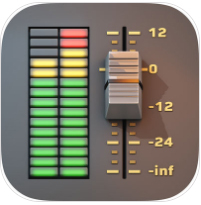 Tweak sounds and parameters with utmost accuracy, using Cubasis’ super-sized full-screen support for Audio Unit instruments and effects plug-ins. Enjoy maximum productivity, creativity and flexibility, switching between the available screen sizes at lightning speed with only a few taps. Experience a new approach to making music, using ROLI’s free downloadable NOISE app within Cubasis. Create inspiring drum and melody parts through intuitive gestures, using the unique Seaboard and Drum Grid visualizers, now directly accessible via Cubasis’ Audio Unit full-screen mode. Easily remote control your favorite compatible Audio Unit effect plug-ins via external controllers. No matter if you’re moving effect knobs via MIDI Learn or switching presets via program change — if your Audio Unit effects plug-in supports it, it can be done in Cubasis with great ease. Cubasis is designed from musicians for musicians to provide you with the best-possible user experience, highest performance and rock-solid stability. 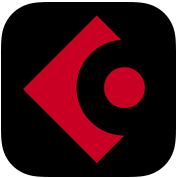 Visit us for the complete list of improvements, issues and solutions included in Cubasis 2.6 at www.steinberg.net/cubasisforum. 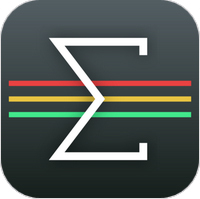 If you like Cubasis, please support us by rating this app on the App Store! Enjoy razor-sharp graphics and text, paired with a dramatic increase in the number of visible tracks within the arranger and mixer, substantial workflow improvements and much more! Use the pre-loaded award-winning channel strip and StudioEQ effects, or simply tap to replace them with other effects of your choice. And give your sound a good polish, utilizing the five assignable insert plug-ins per track. Cubasis provides excellent and unmatched usability, helping you to capture your inspirations right there on the go. To speed up your workflow even more, Cubasis 2.5 allows to import multiple files at once, thanks to its revised Files import feature available in the MediaBay. Cubasis for iPad sets standards when it comes to recording, editing, mixing, and publishing your music. Cubasis 2.5 includes several user-requested improvements to provide best possible performance paired with utmost stability. For the complete list of improvements, issues, and solutions, please visit www.steinberg.net/cubasisforum. *MediaBay multiple file import requires iOS 11.